Given away in February 2016, the classic PC Lemmings game got the PS Vita treatment with a touch-friendly version. 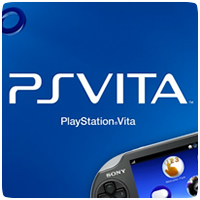 The game was completely reimagined and redesigned specially for PlayStation Vita, making use of the portable console’s touch screen. The game features 100 levels set across five different environments, ranging from caverns to Ancient Egypt and even Space. In March 2016, Flame Over was one of the two PS Vita game given away to subscribers. Flame Over is a fire-fighting simulator with randomly generated levels and 4 deadly game zones. You play as fire-righter Blaze Carruthers, in a race against time and near-certain death, through 16 burning floors, while trying to avoid the grim reaper. Rescue civilians, solve the puzzles and make it to the exit before the timer runs out or before the fire takes over. Each level gets progressively harder, and no two levels are the same. For trophy hunters, the game has plenty of trophies to unlock, including the coveted Platinum. In May and June, two God of War titles were part of PlayStation Plus: God of War: Ghost of Sparta and God of War: Chains of Olympus. Both titles were PS Vita ports of the original PSP games. And if you like God of War games, you’ll love Hall of Gods from InstaCasino. The PS Vita never received it’s own God of War game, but the original games in the series (God of War and God of War II) did make it to the console, but not as part of PlayStation Plus. One of our favourites in the year, and one of four PS Vita games in December’s PlayStation Plus update was Tiny Troopers Joint Ops. This epic bite-sized arcade shooter is filled to the brim with action-packed mini maps of mayhem. Take control of your tiny troopers as you battle evil adversaries from around the world with a multitude of weapons. Recruit specialist mercenaries such as Medics, Machine Gunners and the Elite Delta Force to subdue enemy insurgents. Collect medals, dog tags, Intel and more during the course of each mission to ensure victory. The game includes an online Zombie mode, complete with leaderboard, and cross-save functionality with the PS3 and PS4 versions of the game. With over 7 hours of gun toting explosive gameplay, Tiny Troopers is miniature warfare on a massive scale! PlayStation Plus games for 2017 have already kicked off, with four PS Vita titles, including Day of the Tentacle Remastered (PS4, PS Vita) and Titan Souls (PS Vita, PS4). If you want to cover the cost of your PlayStation Plus subscription, consider joining the Honest Partners affiliate program, which can help you earn extra cash to play for your subscription.